MegaCon 2018: Netflix star Charlie Cox joins the comic book lineup! 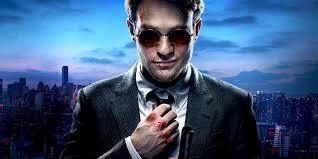 Adding to the MegaCon roster is English actor Charlie Cox! Known for his role as Matt Murdock/Daredevil in Marvel’s Daredevil and Defenders Series on Netflix, Cox has gained quite the fan base. In addition to his portrayal of Marvel’s blind superhero, Cox has also played in roles such as Tristan Thorn in Stardust, Jonathan Hellyer Jones in The Theory of Everything and Owen Sleater in both the second and third seasons of HBO’s Boardwalk Empire. MegaCon Orlando is one of the largest comic, sci-fi, horror, anime and gaming conventions. Welcoming over 100,000 fans each year, Fan Expo continues to grow and give the ultimate fan experience with multi-day and VIP packages, there is something for everyone. Meet Charlie and MegaCon’s other guests on May 24-27th! Tickets and more info can be found at http://megaconorlando.com.